← Salmon Arm Shorebirds and more! Out to lunch? Not at all. The Board of Directors met yesterday at Jude Grass’s for its annual, fall planning meeting. Here we are taking a short lunch break, enjoying food, yard birds, and some conversation. 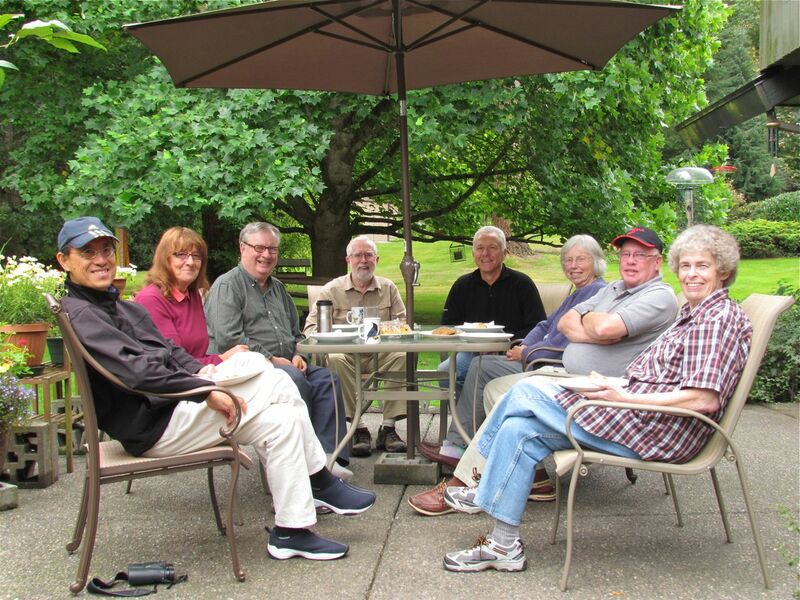 From left to right: Mike Fung, Mary Tait, Wayne Weber, Art Martell, George Clulow, June Ryder, Larry Cowan, and Jude Grass. We enjoyed a very productive day-long meeting, covering topics ranging from next year’s AGM location, though suggestions for the 2013 2-day field trips, to future directions, and how to continue building BCFO membership. Minutes of the meeting will be published here in the BCFO Members area by month’s end.